My Makeup Looks Over The Years !!!! I feel like I’ve been gone for a very long time. I think the last time I posted on the blog was November 2016, which makes me feel really sad. There was just a whole lot going on from opening a beauty studio/lounge to managing, branding and staffing, etc. I just had to take a long break from my beauty blog! I know it’s not … Continue reading My Makeup Looks Over The Years !!!! My Nigerian Natural Hair + Beauty Show (NNHB2016) Experience!!! 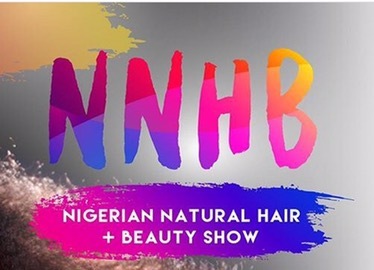 My Nigerian Natural Hair + Beauty Show Experience (NNHB2016) | DASK BEAUTY Continue reading My Nigerian Natural Hair + Beauty Show (NNHB2016) Experience!!! My Plum Orange Wine (P.O.W) Fall-Inspired Look! Hi Everyone!!! I think I’m starting to love this season more, well mainly because of some of its makeup trends. We all know that Autumn is the period of vampy dark shades, smokey eyes, dramatic wing liners, warm/copper eyeshadows. Once you think of fall you think of plum, wine, taupé(brownish grey)/chocolate/brown, gold shimmers on the eyes, and some neutral colors. I’ve definitely been using a … Continue reading My Plum Orange Wine (P.O.W) Fall-Inspired Look! Hi Everyone! I’ve been loving some makeup products this month and I thought I should share them with you guys. First on my October’s fav list are three lip shades from the Anastasia Beverly Hills liquid lipsticks, which are Sepia, American doll and Sadgirl (my overall fav colour). These liquid lipsticks are of full coverage, intense pigment, and with a matte finish which is very … Continue reading MY OCTOBER FAVORITES! Hi guys! I’ve been trying out different eyeshadow colours these days and I’ve been loving them. Hence the saying, “life is just too short for boring colours”. Here are some of the colourful looks I did! This look is still one of my favourites. 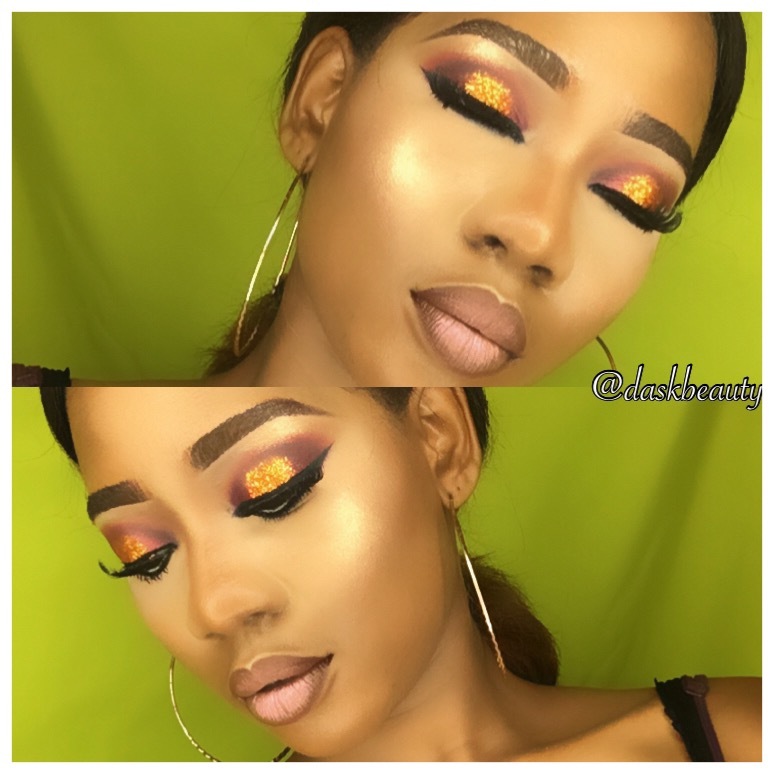 I created this look with copper glitters and the bhcosmetics eyeshadow palette. I’ve always loved this lip shade but since I … Continue reading Go colourful or go home! Hi guys! I know it’s been a while since I’ve shared any makeup tips or looks. But I got inspired to do this today all thanks to a look I saw on Instagram by @jassmich and I just had to recreate it. 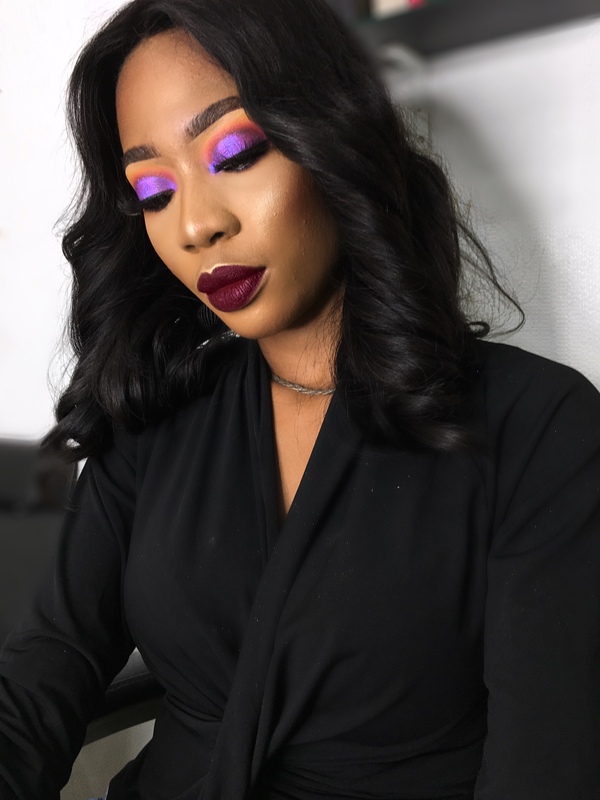 I usually don’t like using colours on my eyes, but as a makeup artist you have to always try things and also it … Continue reading Four shades of blue!!!! Subscribe to DASK Beauty and receive latest updates, giveaways, offers, and others. THIS BLOG claims no credit for some images posted on this site unless otherwise noted. Some images on this blog are copyright to its respectful owners. If there is an image appearing on this blog that belongs to you and do not wish for it appear on this site, please e-mail with a link to said image and it will be promptly removed. Permission must be taken before sharing my images and information from this blog, however credit to me must be given.